From double basins to double-ended baths, we explore bathrooms made for two. Living with a partner often means sharing the same bathroom space during the morning rush. 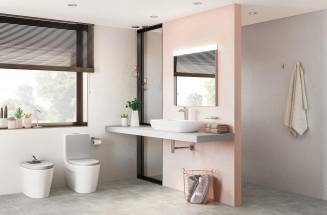 In this article, we discover a range of solutions that allow you to share a bathroom without compromising on your needs or preferences. 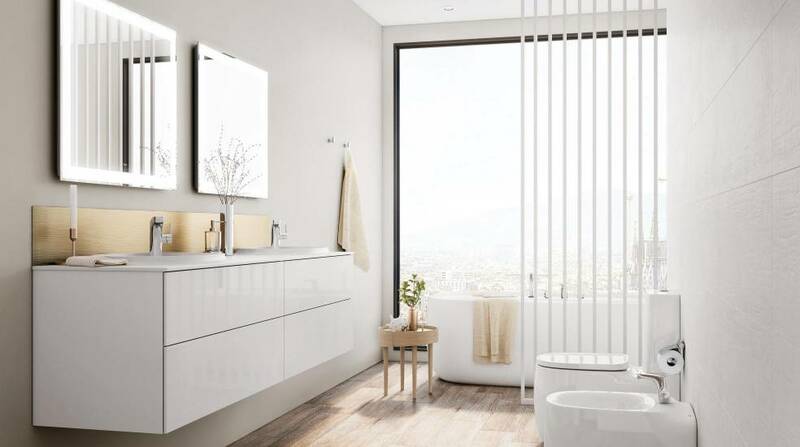 Learn more about products such as double sink bathroom vanity units, double-ended baths and shower trays made for two, designed to celebrate the joy of being a couple but also work perfectly fine for times when privacy is needed. 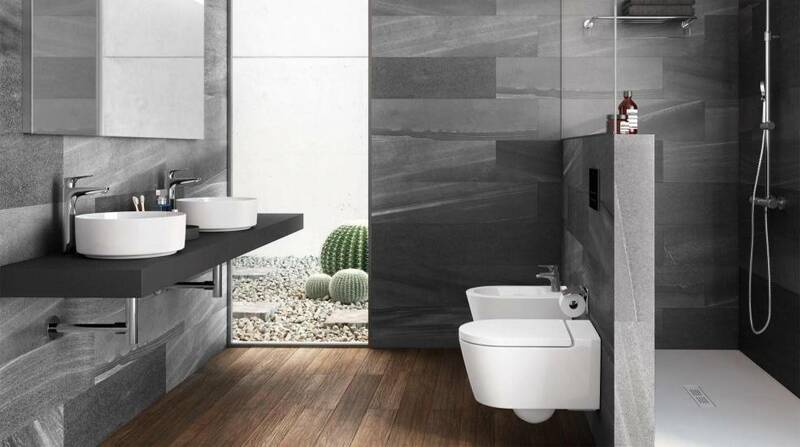 When creating a bathroom for two people, you want to make sure to maximise all available space with clever solutions that can accommodate more than one user at a time. 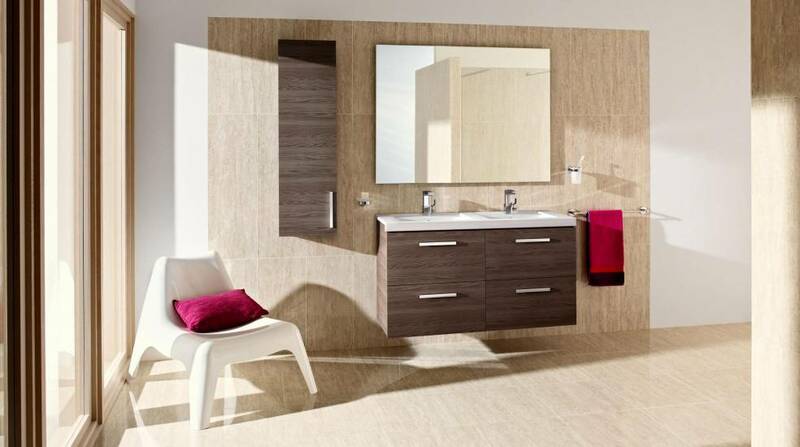 If you can fit in a double sink bathroom vanity unit, each person can have a dedicated space for their morning and evening rituals, and their own storage space. 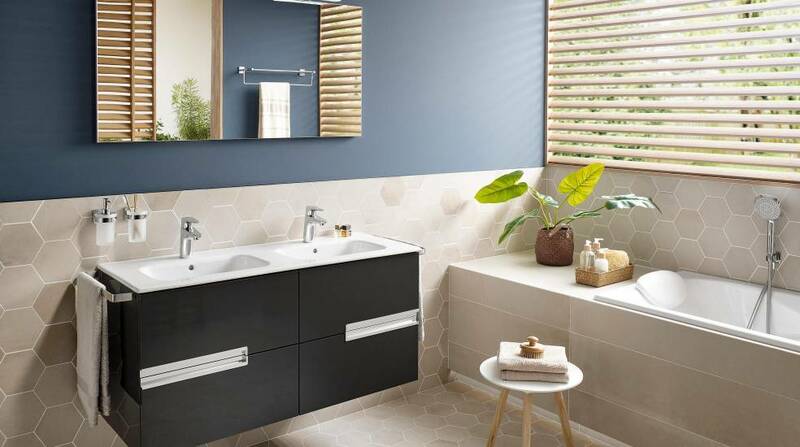 If you prefer a contemporary look in your bathroom and if you have ample space, the Beyond range offers Roca’s largest furniture unit, which includes double basins and plenty of storage. 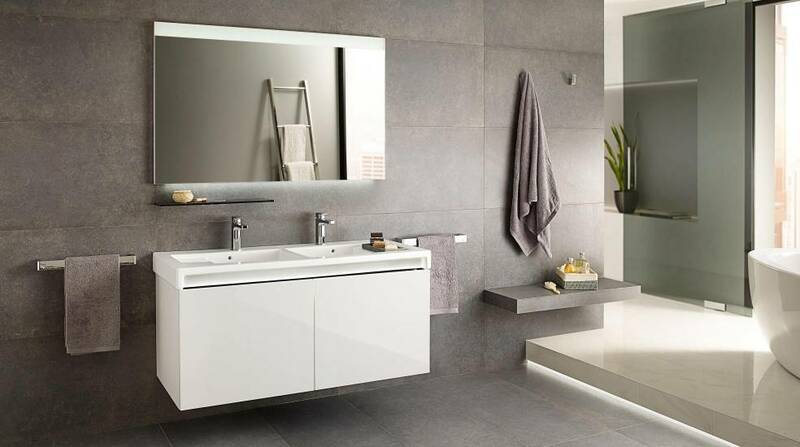 Other vanity units to consider include Stratum-N, with integrated Bluetooth® speakers, and then there’s the many different furniture options in the Inspira collection; an elegant range made of innovative materials. To create the perfect bathroom for relaxing moments together, a double-ended bath is a must – and remember, a bath made for two can of course always be used for those ‘me time’ moments when you just want to enjoy your own company. 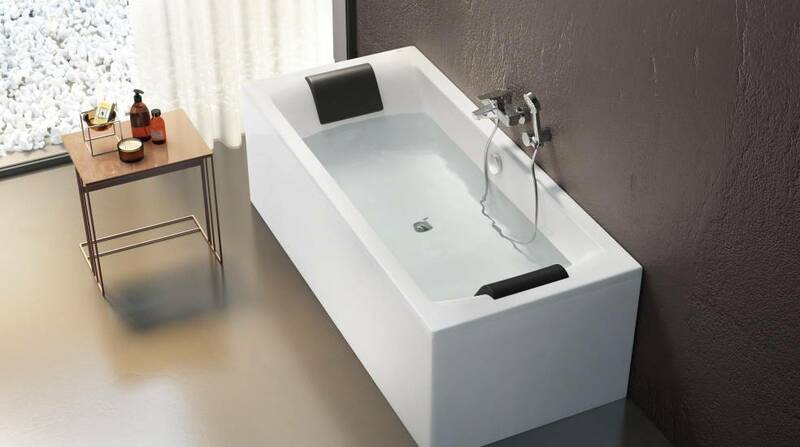 The Modo bath collection is a great option as it offers enough space for two people, and also comes with an optional shelf and drawer, perfect for your bath salts and candles. 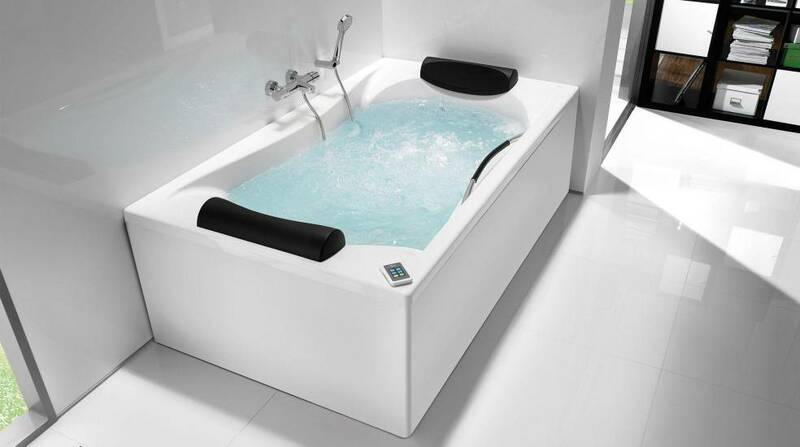 With the Hall collection you can enjoy a comfortable bath for two people thanks to the double headrests, whilst the BeCool collection includes headrests and practical handles to help you and your bathing partner immerse yourselves into the water. 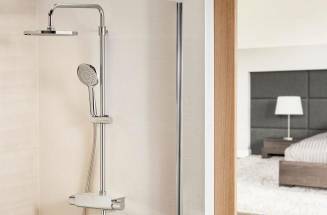 For those of you who prefer to shower together, a safe choice to consider is Roca’s stone effect shower tray range. 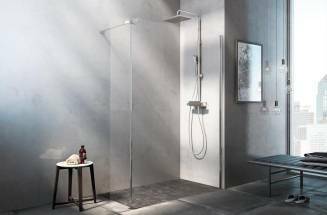 Manufactured in our exclusive Stonex® material, the shower trays of the Terran collection can be cut to size, fitting shower spaces up to (1400x900mm). 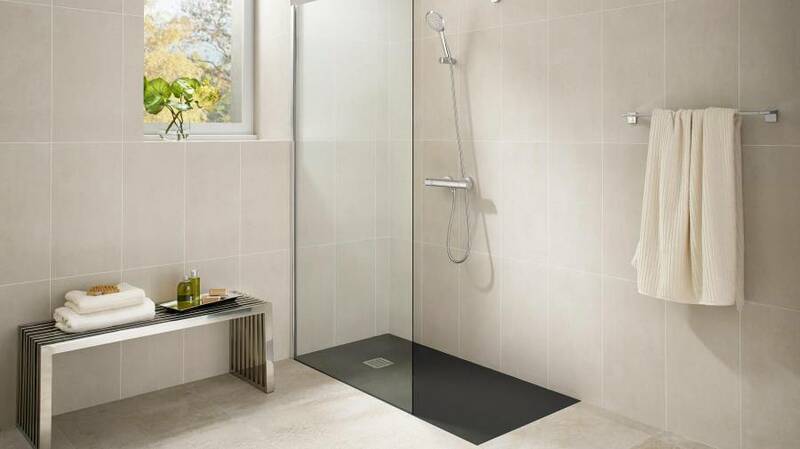 Its textured finish provides a warm-to-the-touch feel and results in an outstanding antislip property, perfect to ensure peace of mind in the shower. We guide you through five timeless bathroom looks. Exposed architectural details and rugged materials make a statement in your bathroom. Even a small change can create a whole new showering experience!